The SSP story began in Scandinavia, and today SSP’s business extends across Europe to some of the continent’s leading travel hubs. These include Paris Charles de Gaulle, Oslo Gardermoen, Copenhagen, Malaga and Helsinki airports, and Gare de Lyon, Berlin and Stockholm central stations. Paris Charles de Gaulles is France’s largest airport, the second largest in Europe and the eighth largest worldwide in terms of number of passengers. It has nine international terminals handling over 65 million passengers a year. It is also known as Roissy Airport. SSP operates 17 outlets at the airport’s Terminal 1, and 19 at Terminal 2. SSP is also operating through a JV 50/50 with ADP of almost 35 stores located in Terminal 2E, 2F, 2D, Terminal 3 and 1. SSP has implemented leading international and regional brands in all food and beverages categories. Brands featured: Starbucks, Brioche Dorée, Caviar House & Prunier, Fauchon, Pret a Manger, Maison Pradier, Exki, Naked, and Yo! Sushi. Frankfurt Central Station was built in 1888 by German architect Hermann Eggert who won a competition to design the new building. It is the busiest station in Germany, serving 350,000 passengers every day. Between 2000 and 2006, the station was completely renovated and today it boasts over 70 shops, restaurants and cafés. Brands featured: Burger King, Illy, Kamps, Millie’s Cookies, M-Bar, Zapfhan, Point Shop, Reingold, Temaki, Cosmopolitan, Gosch, Lucullus, Point Shop, Heberer, Perfect Day mobile cart. Close to 25 million passengers traveled through Oslo Airport in 2015, making it one of the 20 busiest airports in Europe. Having operated successfully at the airport for many decades, SSP won new trust from 2017 and will be operating 30 food and beverage outlets at the airport going forward. Several popular brands remain. These will be joined by a number of new names. 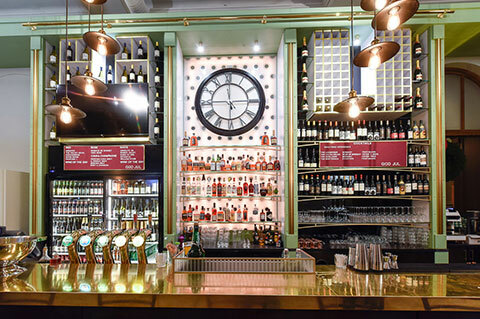 Jamie’s Italian and Jamie’s Deli both make their first appearance in the Norwegian market. A restaurant inspired by Norwegian traditional food called Fjøla joins the line-up. The leading Oslo bakery W.B. Samson continues its success with three units, and we expand with another lounge. Brands featured: Caffè Ritazza, Hunter Bar, Haven, Flybar, Fish & Berries, Everyday Kitchen, Starbucks, Parken, O’Learys, Norgesglasset, Fiskebaren, Havsalt, SAS Lounge, Norwegian Aquavit Bar, Point, Jamie’s Italian, Fjøla, OSL Lounge, News Bar, W.B. Samson and Jamie’s Deli. Moscow’s Sheremetyevo International Airport has been the largest airport in Russia since 2014. In the first quarter 2016, passenger traffic reached seven million in comparison to the previous record holder Domodedovo International Airport where passenger traffic was 5.7 million. In 2015, the airport handled over 30 million passengers. SSP opened its first unit at Moscow in 1994, and in 2007 the company was awarded an additional contract to operate at the airport’s new Terminal 3. International name brands were becoming increasingly popular in Russia, and this was reflected in SSP’s line-up at the new facility, with Hippopotamus and Caffè Ritazza among the names featured. Brands featured: Katie O’Connor’s, Bill Bentley, Hippopotamus, Le Cafe, Caffè Ritazza, Upper Crust, Fresco. Helsinki Airport is Finland’s primary international airport and the leading long-haul airport in Northern Europe. But while it is undoubtedly a top choice for the transfer passenger, it is no bland and anonymous hub – its unique ambiance offers passengers a taste of the true flavour of Scandinavia and a tempting glimpse of the cuisine and culture of the city it serves. In 2015, the airport welcomed over 16 million passengers. This number is set to increase to 20 million following a major development programme, and SSP will be playing a vital role in the airport’s transformation. The company currently operates 14 outlets at the airport, and a number of these have recently been refurbished and rebranded. As they were when SSP first began operating at the airport, many have been crafted to encapsulate the essence of Finland. These include a new café called Tapio, which is named after the Finnish forest God. With inimitably Finnish panache, local design elements such as glasses and china from renowned tableware company littala, aprons by leading designer Marimekko as well as art from a Finnish graphic designer Teemu Järvi shine a spotlight on the very best of the country’s style. Similarly, the multi-award winning bar Wine & View has been given a fresh new look. Serving leading wines from the destinations the airport serves as well as Scandinavian delicacies such as artisan cheeses and local cold smoked salmon, Wine & View appeals to those who want a genuinely Finnish experience and the most discerning international traveller. 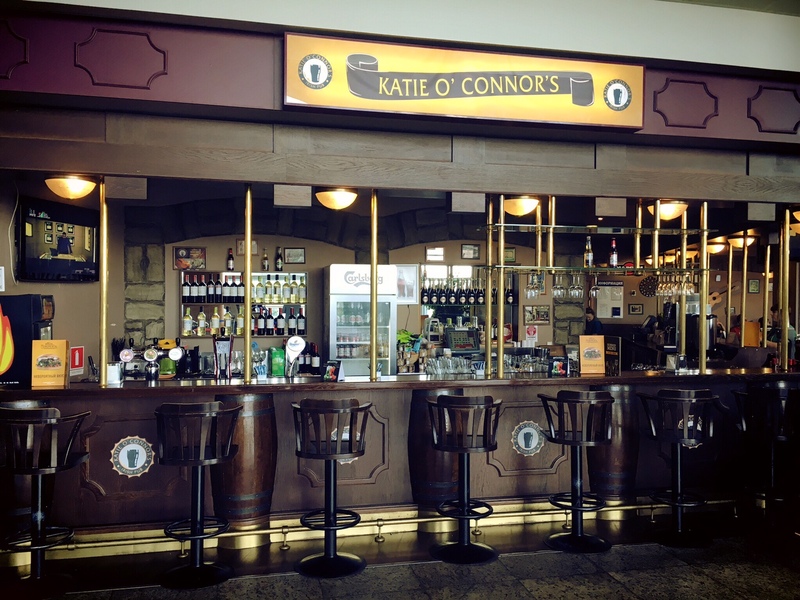 Wine & View was named Airport Wine Bar of the Year at the prestigious Moodie Davitt FAB awards 2016. Stockholm Central Station opened in 1871 and is today the largest station in Sweden and central hub of the subway system. It is visited by over 250,000 people every day. A striking building in the Italian Renaissance style, the station’s most distinctive feature is ‘the Ringen’, a large circular opening in the centre of the ground floor, which affords views to the underground floor below. Brands featured: Starbucks, Burger King, O’Learys, Boston Grill, Lavazza Espression, Asso di Quadri, Upper Crust and Caffè Ritazza. Soon after the fall of the Berlin Wall in 1989, the city’s planners began work on a transport plan for reunified Berlin. The Berlin Hauptbahnhof was central to that scheme. The largest station in mainland Europe, when it opened in 2006 it set new standards of excellence in international rail travel. Today, 1,800 trains call at the station every day and the number of passengers that use the station on a daily basis is estimated to be at 350,000. SSP’s units at Berlin include a food court, incorporating Upper Crust, Kamps and Currywurst Express. There is also a Point convenience store, and a bakery concept called Heberer. Brands featured: Upper Crust, Kamps, Currywurst Express, Flammengrill, Heberer, Millie’s Cookies, Gosch Sylt, Caffè Ritazza, Burger King, Pizza Hut and Point. Built for the World Exposition of 1900, Gare de Lyon is considered one of the finest examples of the architecture of its day, remaining a landmark in the French capital. 90 million passengers pass through its gates every year. SSP operates a total of 16 outlets at Halls 1 and 3 at the station. These range from sandwich offers through to the internationally acclaimed restaurant Le Train Bleu which was awarded Individual Food and Beverage Offer of the Year at the Moodie Davitt FAB awards in 2016. 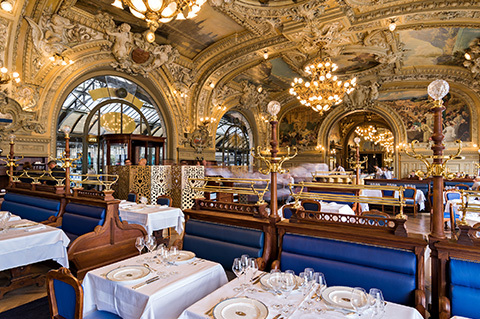 Situated at the heart of the Gare de Lyon, the interior of this restaurant is one of the best preserved examples of Belle Époque design. Brands featured: Le Train Bleu, Pret a Manger, Starbucks, Brioche Dorée, Bonne Journée, Millie’s Cookies, Montreux Jazz Café, and Mezzo di Pasta. With the opening of its new airport in 2009, Cyprus was to be served by a truly world-class gateway. As a major tourist destination, the airport is now used by over 6.4 million passengers every year, covering 100,000m2. 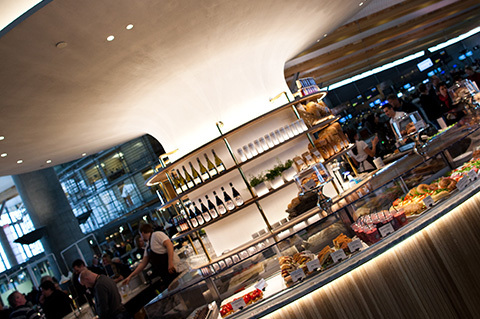 With its large-scale food and beverage area, which occupies 4,000m2, the airport can offer a number of different food and beverage options. 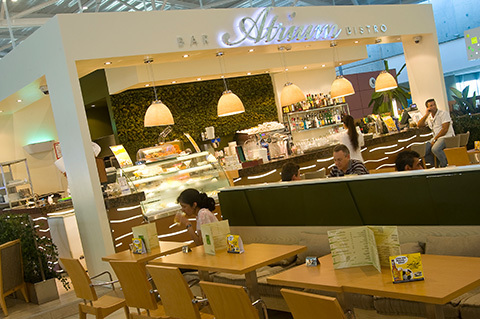 Cyprus Airports (F&B) Ltd has 17 outlets, featuring 20 different brands and concepts. Brands featured: Burger King, Costa Coffee, Segafredo, Flocafé, Caffè Ritazza, Food Village (includes: Sbarro, Upper Crust, Yum Cha, Fruit Box, and Kouzina) Atrium Bistro Bar, Camden food co., Flavours, Panopolis, Kafenio, Central Bar, Diner Onair, Food for Flight, Kafenio, Bill Bentley, and Hot Dog. The new terminal of Paphos Airport was inaugurated in 2008 covering 20,000m2 and serving 2.3 million passengers per year. 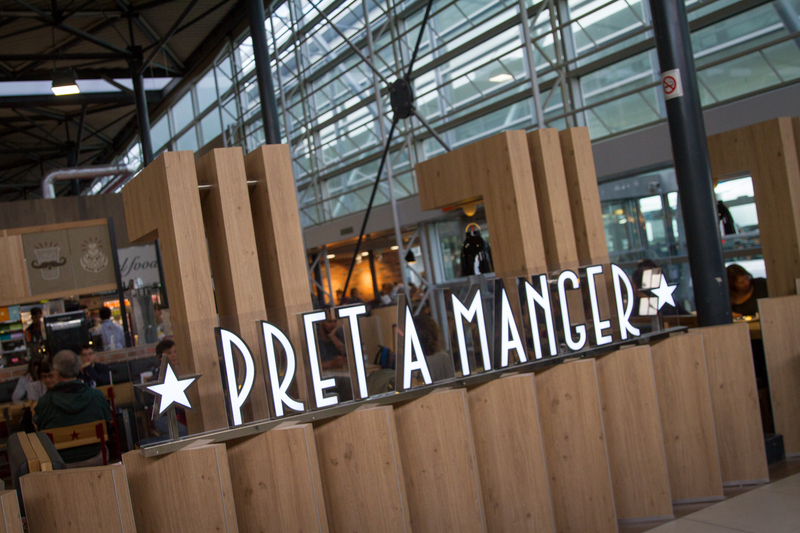 The food and beverage area in the new terminal occupies 2,000m2 and has nine outlets featuring a variety of brands and concepts. 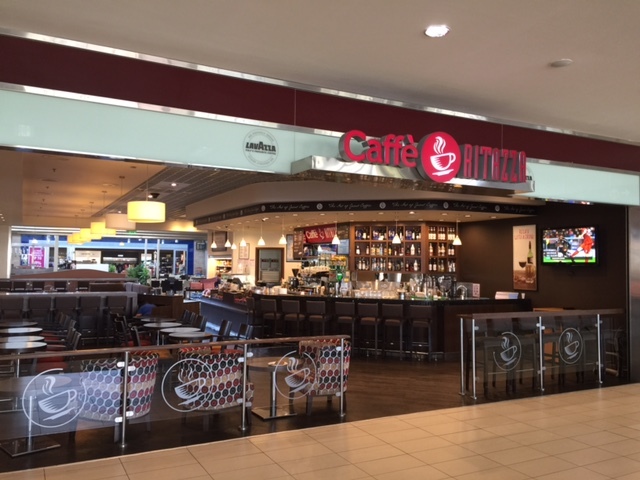 Brands featured: Costa Coffee, Caffè Ritazza, Food Village (includes: Sbarro, Upper Crust, and Star Chips), Kafenio, Central Bar, Beer Garden, Food for Flight, Camden food co., and Premium Lounge. At Athens International Airport SSP operates 11 outlets. In the main terminal building, level 2 landside departure area, there is a 500m2 food court featuring a number of international brands as well as concepts designed to reflect the local cuisine. Brands featured: Le Grand Comptoir, Panopolis, Yum Cha, Negroni, Plate’a, Juice Bar, Salad Bar, Grab N’ Go, La Pasteria, Flocafé, and To Go. Budapest Ferenc Liszt International Airport is Hungary’s main international airport, and the fastest growing airport in the CEE region. The airport will be the key driver of local economic growth for Budapest and for Hungary as a whole. It has two terminals which served over 10 million passengers in 2015. 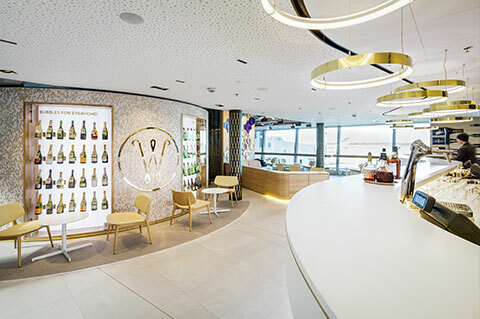 Having invested over €325 million between 2007 and 2015 in a substantial upgrade and expansion programme, the SkyCourt passenger terminal has won many awards for its design, efficiency and passenger experience. SSP operates 15 food and beverage outlets, from restaurants to coffee bars. Brands featured: Burger King, O’Learys, TA.SH.BA, Caffè Ritazza, Flocafé Espresso Room, Upper Crust, Ne’O, Camden food co., Panopolis, The Terrace, Bar Wings, Negroni, Yum Cha, Kouzina, Seasons, and Food For Flight Kiosk.